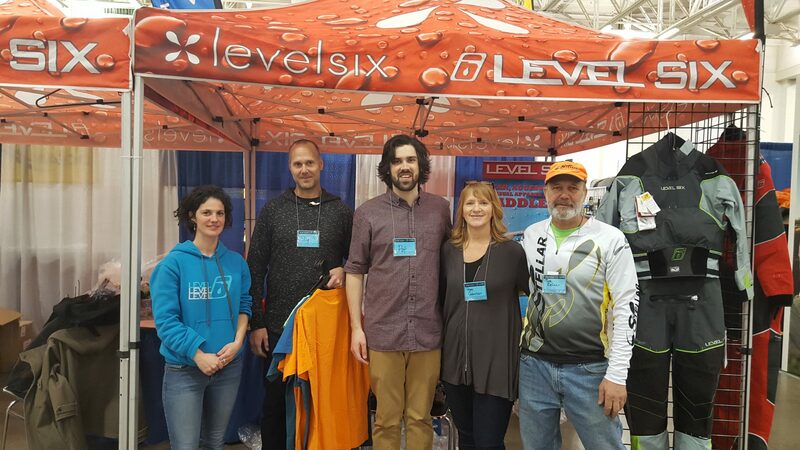 The 2 Paddling 5 team just had the privilege of spending another weekend in the Stellar Kayak booth. 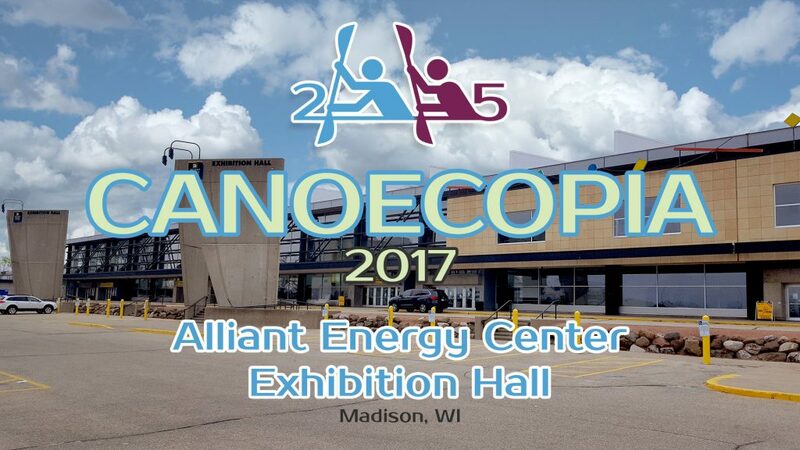 The team spent it’s time with Dave, Ed and Ben at Canoecopia 2017 in Madison, WI for an exciting weekend. Our friend Mark joined us and, as always, he was great company. 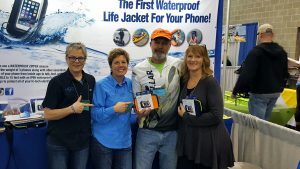 It was another busy show with so many people eager to learn more about the boats, Joe was totally in his element sharing what he knows….as only he can do. He definitely has is own way of pitching the product. As for me, I answer as much as I can then send folks on to the big boys. 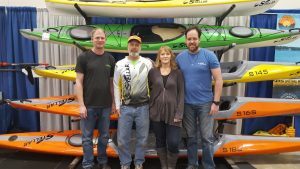 2 Paddling 5 got to see lots of new equipment and as always, we made friends we will only see once a year…and only at Canoecopia 2017. The 2 Paddling 5 team had a great time introducing new paddlers to Stellar Kayaks and helping those who already have boats correct some of the problems and issues they have be having, even if the boats they have are not Stellar , a paddler is a paddler. We had visits from paddlers that purchased Stellar in the past, got to hear about the time they are able to spend on the water. Listening to how their boats performed in different conditions……rivers, lakes, big waves or chop. Good times they are having! Joe and Peggy had the opportunity to meet face to face with some of our sponsors and let them know how much we appreciate their help. 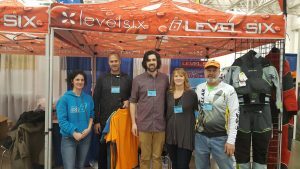 Level Six who helped us with our paddling gear and the product is top of the line. 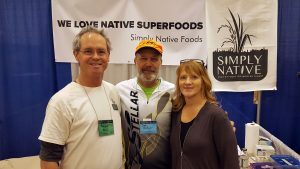 Simply Native Foods, such a great “family” and the food they are providing us with is beyond good. UGO, talk about fun and enthusiastic ladies, so happy we found them. 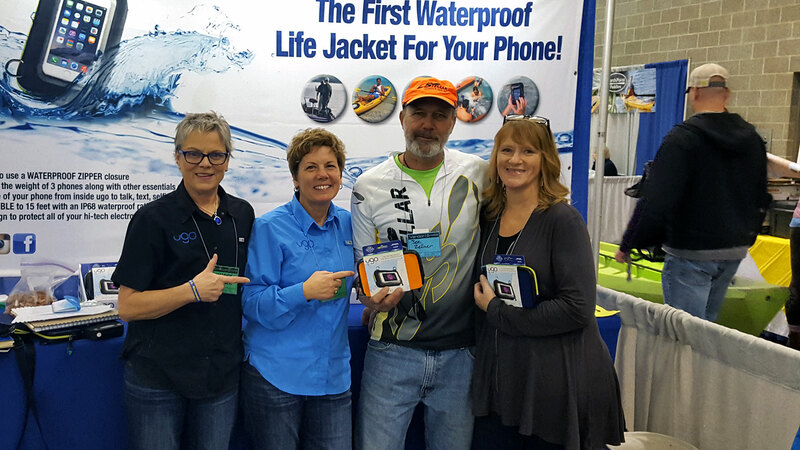 They make a waterproof, floating bag that holds phone, passport, money and more. We watched them float their phones in water for 3 days and not a drop got in. Joe and Peggy also got to catch up with Jeff and Marcia Rohr and compare notes on our Callie fund raising efforts. The show ended with a flurry of last minute purchasing the didn’t stop till the final tear down. We said our goodbyes and look forward next year.